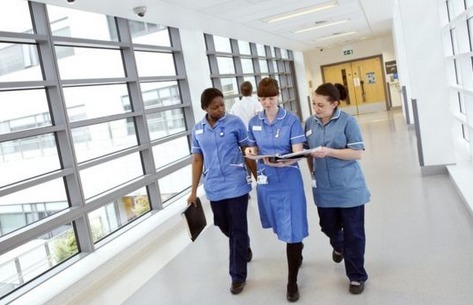 Thanks to Brexit, and the resultant outpouring of previously thinly-veiled hatred of migrants, EU Nurses are leaving #NHS in huge numbers, the Guardian reports. The data comes from the official Nursing and Midwifery Council Register. 3,962 staff from the European Economic Area left the register between 2017 and 2018 - that's 28% more than the 3,081 from the previous period. And it's three times higher than the 1,311wo left in 2013-2014. And fewer are coming to fill the gap - the number of EU nurses and midwives coming to work in the UK has fallen to its lowest level. Just 805 of them joined the register in 2017-18. That's just 13% of the 6,382 who came over the year before. "The government’s refusal to detail the rights that the 3 million EU citizens living in Britain will have once the UK leaves the EU in March next year is a key cause of the loss of EU staff." Many will say (perhaps rightly) that we should be training our own nurses except for the fact that the Nursing Bursary that student nurses relied upon to study, was killed off by this Government in 2017. Since then nursing applications have dropped by a third. So we won't be seeing replacements for those departing EU nurses for quite a while.